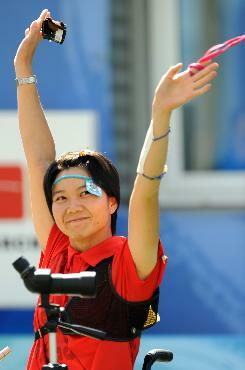 (BEIJING, September 15) -- Chinese archers won the majority of medals at the Beijing 2008 Paralympic Games, beating the Republic of Korea, which has for long been considered the best in the world. 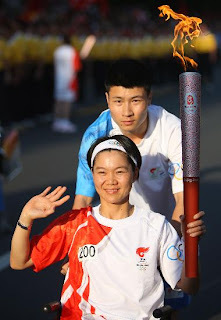 Among the Chinese medalists, Cheng Changjie and the Women's team won gold medals, while Fu Hongzhi, Gao Fangxia, and the Men's team claimed silver medals and Chen Yegang and Xiao Yanhong won bronze. 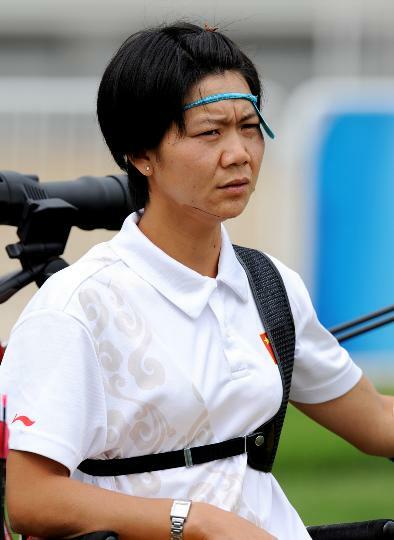 Xiao Yanhong(萧彦红), the paralympician from China, who is from Xiao family, has won gold in women team recurve-open Archery event, and a bronze medal in individual recurve W1/W2 in the 2008 Paralympic Games on 15-9-2008 in Beijing, China. She is Xiao family from Longgang(龙岗区), it is one of the district of Shenxhen sub-provincial city(深圳市), Kwangdong Province, China. 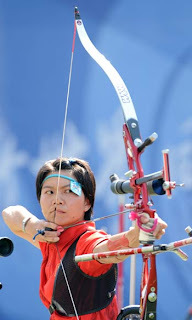 She is a Hakka Xiao (客家龙岗坪地萧氏).